As the sun sets on the space shuttle program, NASA has turned to its employees to design a patch to mark the end of an era. With justsix space shuttle flights remaining - the next scheduled to lift off next week- NASA has invited its past and present space program workers to design an emblemto mark the end of the shuttle era. The winning design will be flown on theshuttle before the fleet retires. The patchdesign contest, which began Oct. 15 and runs through Dec. 1, takes itsinspiration from a tradition among shuttle crew members. "What we wanted to do was do something similar to what the astronauts dowith their patches for their flights," said Debbie Byerly, who is headingup the contest as technical assistant to shuttle program manager John Shannon. "We want the employees, or the people who worked here within the last 30years, to help us design this 'end of program' patch." 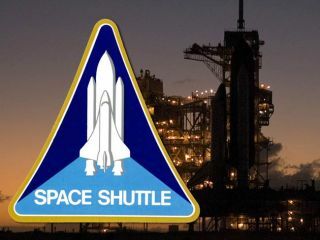 The shuttle, which made its firstflight in April 1981, is set to be retired after its 134th mission,currently targeted for launch in Sep. 2010. Over the program's 30 years, thefive shuttle orbiters have deployed satellites, planetary probes andobservatories, including the Hubble Space Telescope, as well as visited theRussian Mir space station and led the assembly of the International SpaceStation (ISS). The latter is still on-going with STS-129, the sixth to lastshuttle mission scheduled to launch to the ISS on Nov. 16 with a six-personcrew. The shuttle's legacy is also represented by the more than 350 people who by theend of the program will have flown to space aboard Columbia, Challenger,Discovery, Atlantis and Endeavour. Byerly said she hopes the patches submitted will capture some of that historyin whatever shape they may take. "I didn't put any templates out there," she said. "I wanted [tochallenge] people to think outside the box. I wanted them to provide a shortnarrative as to how the patch was designed, what is included in the patch andwhat it means to them." That meaning may at least be partially influenced by what role the patchdesigner plays within NASA. The contest is open to all who work for the federalagency at any of its 16 centers and facilities, as well as all those who workfor the myriad of companies that support NASA's activities as its contractors. "If any retired people would like to submit a patch design, we'd be morethan delighted," added Byerly. Other than being employed at some time for the U.S. civil space program,there are no other requirements for entry, including any artistic skills. "It really is an amateur contest," Byerly described. "We haveencouraged everybody, it doesn't matter if you are a graphic artist, we justwant your rendition of what the shuttle program means to you and how you woulddepict that in a patch." NASA's graphic artists will assist by adapting the winning concept forproduction. To select a winner, or winners, Byerly plans two panels. A group of judgesrecruited from the various NASA centers will identify their favorite emblemwhile a vote is also held among the employees. "We intend to place [the designs] on the web and have a 'people's choice'award," Byerly said. "This was designed and presented to be foremployee morale. The people who will be voting on it will be theemployees." "We'll have the top three prizes and then display all the patches and dosomething nice for everyone who submits something," she added. The top winner will see their design become a part of the legacy for whichtheir patch is intended to honor. "The person whose art is chosen, we will fly that artwork and we willmanufacture the patches and then they will get a flown patch along with a bigpresentation case with their artwork in it," Byerly told collectSPACE.com. "So it should be fun for them and it gives them a chance to be a part ofshuttle history."